I heard about the Witches and the Grinnygog whilst purchasing Moondial and saw that it was recommended in my Amazon feed. The premise was interesting enough for me to look into and I saw it that the whole series was uploaded onto YouTube and so over a couple of days I watched the whole thing. 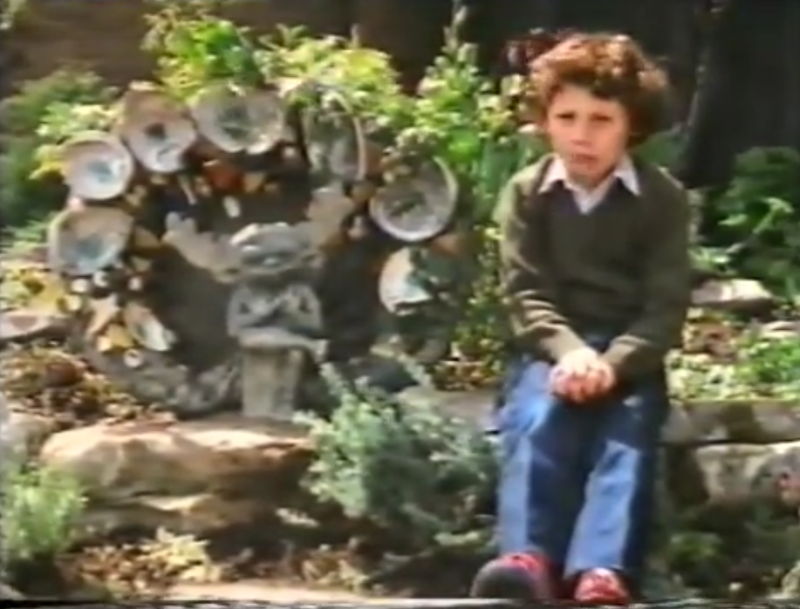 The Witches and the Grinnygog is a 6 part children's television series made by Southern Television Productions in 1982. The series was adapted from the book by Dorothy Edwards which concerns the Grinnygog – a strange statue of ancient origin which goes missing when a church is moved. The statue is found by a woman who gifts it to her elderly father as a garden gnome. Shortly thereafter, three eccentric old women,who seem to be looking for something lost or hidden from many years before, arrive in the town and the mystery begins. The series is interesting as it looks at the history of pre-Christian traditions, considered in the middle ages to be witchcraft, surviving into the modern world, and deals with various themes related to English folklore, ghosts and time slips... heady concepts for a children's TV show. Each of the 6 episode lasts around 25 minutes and it has all the usual elements that make children's shows from the 80's so interesting; great story, great actors (including the child actors which features a young Adam Woodyatt- Ian Beale from Eastenders), good english folk music and great location shooting. I liked the series and even though I've never seen the series before and hold no nostalgia for it I found it watchable enough but not at the high watermark set by Children of the Stones or Moondial. The series is worth a look but don't go out of your way as it is pretty forgettable stuff overall.